Angus Special Playscheme provides fun and educational activities during the school holidays for children aged 5-18 with additional support needs. They run three schemes flexibly tailored to different age ranges. In addition to this they also run a scheme called 1:2:1 which caters for those with complex needs who require particular one to one care. Our funding, awarded over three years, goes towards this specialist care which is essential for those attending and their siblings and parents. 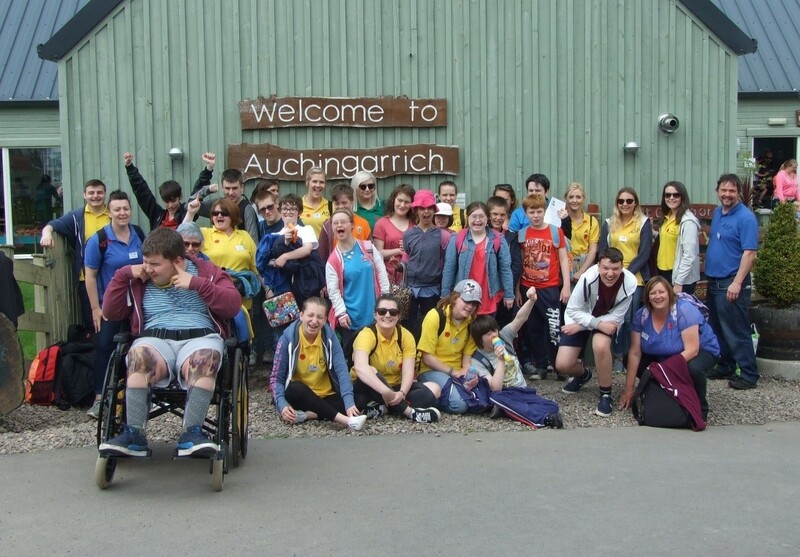 Last year the activities involved trips to places such as Auchingarrach Wildlife Centre and Discovery Point in Dundee, and the young people were also treated to a visit by Zoolab! “I like the Playscheme it’s great fun. I miss my friends from school in the holidays. I get to see them at Playscheme and this makes me very happy We all do lots of nice things like go on trips, play football and go swimming. I love the Playscheme……. it’s the best”. “Our son has Down’s Syndrome and he has very challenging behaviour. The Playscheme gives him the opportunity to play in a safe environment and make some friends. He would not cope with the out of school clubs like football and swimming that his brothers attend. The Playscheme gives him a feeling of ‘inclusion’. Our son does not cope well with the school holidays and being out of his normal routine. The Playscheme gives him something to look forward to and he really enjoys his time there and all the staff do a great job. Angus Special Playscheme keeps me sane during the school holidays. Not only does it provide my son with activities of his own and a little time off from me, it gives me a chance to spend some quality time with my daughter. The staff are amazing, leaving me confident my son is in safe hands”.